Before his incredible performance at this year’s Download Festival, we caught up with the party legend that is Andrew W.K for a quick chat about what keeps him motivated, pizza and of course partying. Here’s what he had to say. 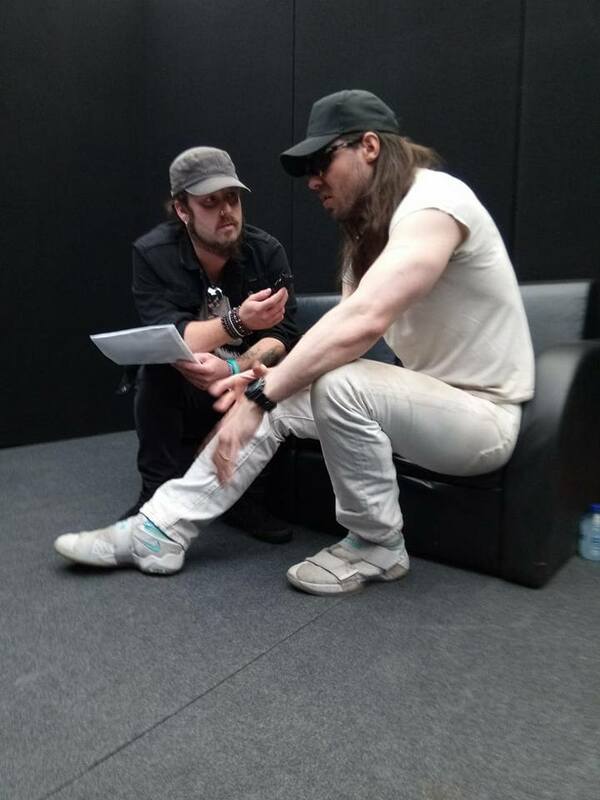 Soundsphere Magazine] We are here at Download 2018 with the one and only Andrew WK, how are you doing man? 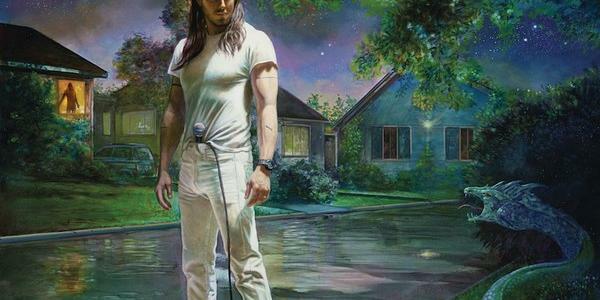 Andrew W.K.] I’m doing well, how are you? S] I’m pretty good, thanks. Are you looking forward to getting on stage tonight? A] Oh, absolutely. We play at 4:40 on new zippo stage and that’s the one that is enclosed in a tent, so I think that’s a really special kind of place to play. The first time we played Download we got to be in one of those tents and the best thing about that, beyond that it provides shelter from the rain and the elements, especially for the audience who might need a break if it is raining like today, so far been a bit rainy, a bit muddy, but also you get to have the lights. I have a fully visible light show and that is really an added bonus that you love. S] Yeah, I always find that there’s more than atmosphere when it comes to playing inside as opposed to open air gig. A] Oh, definitely but open-air is dramatic in it own way. S] You are expected to bring the party with you wherever you go and whenever you play, how do you psych yourself up to get yourself into that kind of mood with that sort of energy? A] I asked the party gods to use me as their vessel, as their puppet and to give me the strength to do their bidding. I could never muster it up myself. I have to be imbued with it by a lower and higher Force, I’d say it come from all directions and from the people here at the festival itself. I try to be like a sponge and soak up all the energy. Look at all the energy going on here, it’s palpable, it’s almost a dangerous amount of energy. I try to harness some of that and amplify it back out. The good thing is you don’t have to work too hard to get amped up here. It’s in the air. S] Within your music there is a clear message of positivity, what keeps you in a positive frame of mind? A] I suppose a sense of meaning; a probably inflated meaning, a self-centered kind of dramatic intensity that I find necessary to apply to this work. It’s not just playing a show, we are on a quest. We are on a quest to reach pinnacle party power. Now, some could say that’s absurd, you’re just playing a concert but if I think of it as just playing a concert I won’t be able to find the meaning. It has to seem like a life or death mission and every show is the most important thing that could ever possibly happen and then it is done and we go on to the next show. To me, it’s actually making things more intense that helps me feel more positive. Taking things lightly, blowing things off, a kind of carefree attitude is where I start feel lost. I start to feel hopeless, it’s meaningless and if something feels meaningless to me then I fall into despair. So I have to feel like there is too much meaning almost, that it’s too important and that’s what gives me that surge of physical energy. S] You have such a positive vibe around you and you always seem to be so full of energy. Do you ever actually get time to relax and have some down time or is life really a constant party for you? S] You earn your rest, so to speak. A] Yeah, but what you earn when you party is the ability to party even harder. That’s where my mind is set at, where it starts and ends. S] So outside of music and partying, what is it that is inspiring you? Be it art or movies etc. S] You did venture into politics with The Party Party, a brilliant name by the way, would you say that politics is something which is important to you and inspires your music or do you like to keep it separate from your music? A] Well, it is definitely not inspiring to me but I do admire and respect those who do find it inspiring. there has been a lot of music that I really, really, really, really, really love that I think was inspired very directory, very literally by policy issues, by the sort of organisation of culture and society and I think that everyone, well at least I do feel an obligation as a citizen to engage and be aware as much as I suppose feels natural with that layer of day to day life. it’s very easy to mistake that for life itself and that’s where I find the difference is. For me, the music I’m creating is trying to reach beneath, to the very primal fundamental sensation of what it is to be alive and I think on top of that sensation you can build personality. You can build a world view. You can build ideologies for better or worse, but for me, the only way I can find hope and meaning of life is to go beneath those to a kind of core life force energy and that’s where I am trying to write this music from that’s what I am trying to celebrate with the music. S] So, you have been spending quite a bit of time in the UK recently showcasing your latest release ‘You’re Not Alone’, does the party atmosphere differ here to back in the US or other parts of the world, or is it one constant party where you go? A] Well, it’s one constant party wherever we go but it’s not lost on me that there is something very unique and very special about the UK. I mean the loyalty, the dedication, the devotion, the passion that has existed here for what we’re offering. And we noticed that, of course, time and time again. We started here, which a lot of people don’t realise, the first show that I ever played with this band, period, anywhere in the world, was in London. The album came out here; the singles were released here before they were released anywhere else. We started here and I think we will always be bound up with a beautiful kind of connection to the United Kingdom. The UK is just very good at partying and no one’s more thankful for that than I am. S] Finally, what can we expect to see from your performance today? Will there be an appearance from the Taco or pizza slice guitars at all? A] You know what, I brought, again on the advice of many British folks who said that tacos just aren’t that popular here and that people might not even know what a taco was if I played my Taco guitar. Now, I think that Mexican food is rising in popularity here but it did seem like the popular demand was still for the pizza guitar so I did bring it again and we have a short amount of Time to play but we will jam as much party and pizza into that set as we can. S] if you had to choose one; Pizza or taco? A] [After long pause of consideration and a laugh] I suppose pizza because I can get pizza anywhere I have ever been in the world. The best pizza I have had in ages, in fact, was just a few days ago when we played in Poland. I would never have guessed that a late night pizza place in Poland would be amongst the best pizza and I’m not exaggerating. It was just flawless, fantastic pizza in Warsaw Poland. It just goes to show the power of pizza reaches far.